The city of Málaga on Spain's southwest coast is brimming with history, culture, and night life. The promise of crystal-clear Mediterranean waters, quaint cobblestone streets and the best weather Europe has to offer, is enough to convince anyone to pack up and head for Málaga, Spain. What many don’t know about this hidden gem is that the English teaching industry is absolutely booming here, thanks to the greater influx of tourists visiting this great city. Once bypassed in favor of cities like Madrid and Barcelona, many like me have now been swept up in its understated cultural and historical charm. Málaga offers so much more than just sun-drenched coastline. It has an incredibly low cost of living, enabling almost anyone to live like a king (or queen). Aside from cheap housing—a one-bedroom apartment will cost you around €400 ($465) a month—Spain also boasts a fantastic healthcare system, which you will be entitled to as long as you’re teaching legally. Finding work teaching English in Málaga is a relatively easy process. Whilst some teachers opt to do a TEFL qualification (English as a foreign language), it definitely isn’t a necessity to break into the teaching industry. As jobs here increasingly require English speakers, the demand for teachers is huge, with lots of different options. You can teach business classes, which can be very lucrative; conversation classes, where you get paid to talk for a few hours; or you can teach children after school. There is such demand, many of the teachers here aren’t even native English speakers. In my experience, work in academies is great fun. My class sizes have always been small—never more than 12 students—so I’ve really been able to get to know my students well. Many of my adult students have actually become great friends of mine. I regularly play tennis with a group of students I taught two years ago; it’s a fantastic way to make local friends, which is often much harder than making expat friends. The demand for English teachers in Málaga has boomed in recent years. Teachers here come from all walks of life and many different fields of work and study, all with one thing in common—the love of travel. The tight-knit community of teachers that exists in Málaga makes you feel right at home. In comparison to other European countries, the pay can seem low. But the low cost of living in Spain easily makes up for it. When my friends and family visit me, they can’t believe that a three-course meal and a glass of wine only costs €10 ($12). 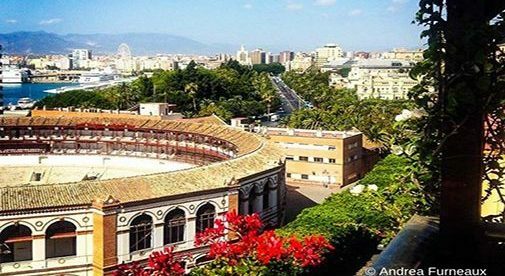 What makes Málaga so special is that the year-round sunny and warm climate means outdoor activities can be enjoyed by everyone all year. Renting a beachside tennis court will only set you back €5 ($6) and the city bikes can be used for free. With so much nature in and around the city, it’s the perfect place to relax as well as work. 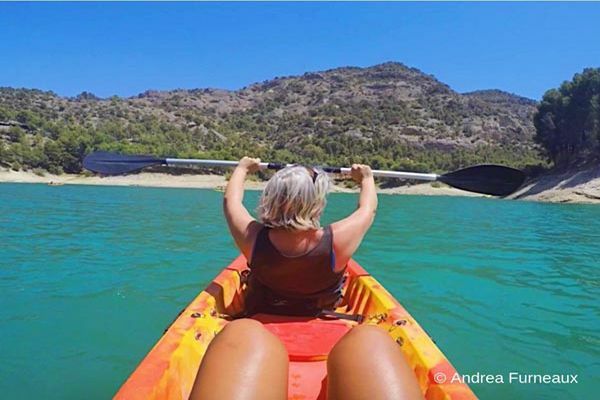 Try kayaking through the lakes in El Chorro or skiing in the mountains in Sierra Nevada just an hour-and-a-half away.